If you are staying in Shanghai over the CNY break then we have the perfect opportunity for your kids to get creative! 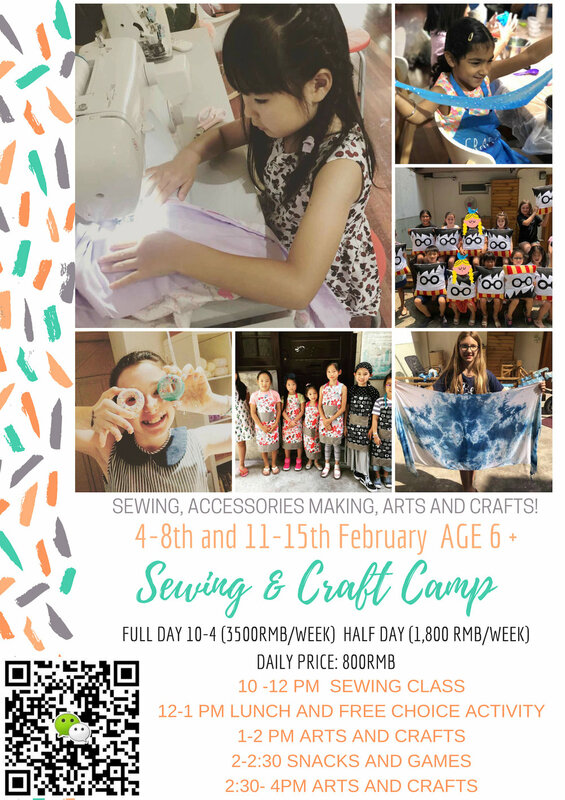 If your child has not attended a Craft'd camp or sewing class before, they will need to join the introductory session at 9.30 on the first day of camp (4th of February). This will allow us to run through the basics of how to operate the sewing machine safely and correctly, before moving onto their project for the day, which will be suitable for beginners.